John E. Regan, born May 11, 1861, came to the United States alone as a teenager, his family unable to afford to send all of their children. He found work in the coal mines of Scranton, Pennsylvania. When he had saved enough money to buy a horse and wagon John started a coffee and tea business, delivering a route of nearly fifteen miles. He traveled daily from Scranton's Bellevue section on the West Side to Old Forge and Taylor, and back through Moosic and South Scranton. From this small business, he branched out into a funeral livery service and decided to become an undertaker. He would eventually earn enough money to bring the rest of his family to the United States. 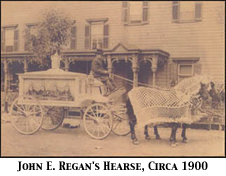 John E. Regan became an undertaker in 1887 at the age of 26. This was the end of the era of icebox coffins, before modern preservation techniques were widely applied, but he was determined to better serve his community. He became one of the area's first practitioners of modern embalming when he received his diploma from the Oriental School of Embalming (currently the New England Institute, of Mount Ida College) in Newton, Massachusetts on August 16, 1895. 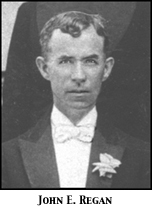 Frank M. Regan succeeded John E. Regan. A graduate of St. Thomas College (now the University of Scranton) and Collier's School of Embalming, Frank served the area with the commitment to community his father instilled in him. He served on the Pennsylvania State Board of Funeral Directors from 1936 - 1940. In 1991 the Pennsylvania Funeral Directors Association honored him for his 66 years of service to the community and his devotion to the profession. He served as an associate to Neil until his death in 1992 at the age of 91. Frank's son Neil also became a funeral director, carrying on the tradition of excellence that his father and grandfather had exemplified. The Neil W. Regan Funeral Home opened for business at 1900 Pittston Avenue in what was formerly Michael J. McCrea Funeral Home in 1977. Neil, with degrees from the University of Scranton and also Simmons School of Mortuary Science in Syracuse, New York, brings the same commitment to community and excellence that had driven his father and grandfather before him. Neil served as Vice-Chairman on the Pennsylvania State Board of Funeral Directors from 1993-1998. He is a former member of the Funeral Service Education Advisory Committee at Northampton College in Bethlehem, Pennsylvania. In 1993 he had the honor of serving the first family upon the death of Hugh Rodham, father of former first lady Hillary Rodham Clinton. It is an honor and a privilege for Neil to have had the opportunity to serve families from all walks of life with the tradition of excellence his father and grandfather taught him. His son, Brendan, a Penn State graduate, was graduated with honors from Northampton Community College in 2012 and is currently licensed and serving with Neil as an associate funeral director. 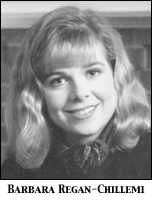 Neil's daughter, Barbara, is also a licensed funeral director, residing in Ridgewood, NJ. Copyright 2006 Neil W. Regan Funeral Home. All rights reserved.